Measurement of Urinary Amino-Terminal Pro-Brain Natriuretic Peptide in Childhood Lower Respiratory Tract Infections: An Indicator of Clinical Severity? Prompt diagnosis and determination of the clinical severity and intervention of lower respiratory tract infections (LRTI) is essential for the prevention and management of life-threatening complications. Laboratory tests do not serve as accurate indicators of clinical severity. Our aim was to evaluate the contribution of urinary amino-terminal pro-brain natriuretic peptide (NT-ProBNP) concentrations in children with LRTI to clinical assessment in terms of determining clinical severity and the necessity of hospitalization. This prospective non-randomised study included a total of 160 patients, aged 0-6 years, diagnosed with LRTI [(group 1=outpatient group (n=108), and (group 2=hospitalized patients (n=52)]. The control group (group 3) was comprised of 46 healthy children. Urinary NT-ProBNP level of each participant was measured by ELISA method. Although not significant, the mean urinary NT-ProBNP level of all patients was higher than that of the control group (p=0.322). When we compared the three groups separately, the highest levels belonged to outpatients whereas hospitalized patients showed slightly lower levels than the control group without any statistical significance (p=0.128). As for newborns (n=16), patients showed higher levels than the controls (p=0.041). P value <0.05 was considered significant. Although urinary NT-ProBNP level tends to increase to some extent in childhood LRTI, this alteration does not seem to be valuable in the prediction of the severity of the disease. We believe that the establishment of further studies including larger series of patients, especially neo-nates, is warranted. Childhood lower respiratory tract infections (LRTI) are encountered as widespread and common infectious diseases. Pneumonia is the leading cause of mortality (17%) in children aged <5 years (1). Estimatedly 1 million children younger than five years of age died from pneumonia in 2014 according to the most recent “Child Mortality Report” of UNICEF (2). Bronchiolitis is the most common cause of hospitalization in the first year of life. Prompt diagnosis, the determination of clinical severity, and intervention of LRTI is essential for the prevention and management of life-threatening complications. This can only be achieved by proper clinical assessment. Laboratory tests and chest radiographs do not always serve as accurate indicators of clinical severity (3). Brain natriuretic peptide (BNP) is a peptide hormone mainly released from cardiac atrial myocytes but it is also secreted by the ventricular myocardium in response to pressure and volume overload. Enzymatic cleavage of pro-BNP results in the production of BNP and amino-terminal pro-BNP (NT-ProBNP) (4). Serum levels of NT-ProBNP can be tested easily, quickly and economically. Thus, measuring plasma concentrations of NT-ProBNP has emerged as a useful estimator of cardiac dysfunction and has been incorporated into major adult guidelines for the detection and management of heart failure as a diagnostic test (5). The first studies evaluating plasma NT-ProBNP levels in children focused on cardiac dysfunction and its predictivity in differentiating between congestive heart failure (CHF) and lung disease among infants with acute respiratory distress (6,7). Research assessing plasma peptide levels in arrytmia, febrile convulsion, epilepsy, syncope, sepsis, and more have further been conducted (8-10). NT-ProBNP is also found in the urine as small peptides undergo renal filtration (11). Studies measuring urinary NT-ProBNP levels in children are generally limited to the prediction and follow-up of hemodynamically significant patent ductus arteriosus (hs-PDA) in preterm infants (12,13). It has been proposed that plasma NT-ProBNP levels may elevate to some extent in LRTI based on cardiac overload even in the absence of cardiac failure. Studies using plasma NT-ProBNP levels in children with LRTI have reported a significant increase accompanying heart failure only in children most of whom also had an underlying congestive heart disease (CHD) (14,15). On the other hand, no published report estimating the “clinical severity” of LRTI in the absence of heart failure by detection of plasma or urine NT-ProBNP levels exists hitherto in pediatric practice. In this study, we planned to measure urinary NT-ProBNP concentrations in children with LRTI. Our aim was to evaluate the contribution of this easily applicable and non-invasive diagnostic test in childhood LRTI to clinical assessment for the determination of clinical severity and the necessity of hospitalization. This prospective non-randomised study was conducted in the Pediatric Outpatient Clinic, Emergency and Infectious Diseases Departments, Neonatal and Pediatric Intensive Care Units of Ankara University Faculty of Medicine between November 2014-May 2015. The study protocol was approved by the Clinical Research Ethical Commitee of Ankara University (approval number: 17-735-14; October 2014). Written informed consent was given by each parent. We enrolled a total of 160 children, aged between 0-72 months, who were diagnosed with LRTI (acute pneumonia or bronchiolitis). Since current knowledge indicates that plasma NT-ProBNP value is high in the umbilical cord with a further increase in the first two days of life, followed by a rapid decrease in the first week (3-8 days), we included neonates beyond the first week of life (16). Exclusion criteria were outlined as previously diagnosed CHD, chronic lung disease, respiratory tract abnormality, immune deficiency, neuromuscular disease, major congenital malformation, and inability to obtain written informed consent. Routine echocardiographic evaluation was not performed unless a suspicion of CHD or CHF was raised. Each patient was clinically evaluated by a pediatrician. Vital signs (heart rate, respiratory rate and oxygen saturation) were recorded at arrival. Tachycardia and tachypnea were defined as pulse and respiratory rates at rest exceeding upper limits of normal according to age (17,18). Modified Wood’s Clinical Asthma Score (M-WAS) was applied to patients diagnosed with bronchiolitis to assess clinical severity (19). This clinical scoring scale focuses on five signs; oxygen saturation, inspiratory breath sounds, expiratory wheezing, use of accessory muscles, and mental status. Patients were regarded as “mildly, moderately or severely ill” based on this assessment. Clinical severity in pneumonia was categorized as “mild” or “severe” based on body temperature, signs of respiratory distress, skin color, mental status, oxygen saturation, feeding problems, signs of dehydration, heart rate, and capillary refill time (3,20). Patients were divided into two subgroups according to clinical evaluation; group 1 (outpatient group, n=108) included “mildly” or “moderately” ill patients who were evaluated and discharged either from the outpatient clinic or emergency department. Group 2 (n=52) consisted of hospitalized patients, either in the infectious diseases department or intensive care units, who were considered as “severe” patients. Control group (Group 3) consisted of 46 healthy children of similar age without signs of recent infection. Urine was collected for the measurement of NT-ProBNP within the first 2 h of admission for outpatients, and within 6 h for hospitalized patients. Samples (2 mL) were further centrifuged at 4000 rpm for 5 minutes, and cell-free urine was stored at -80 °C until assessment. Urine NT-ProBNP quantification was handled in Ankara University Faculty of Medicine, Immunology Laboratory with the enzyme immunoassay for the quantitative measurement of BNP fragment in biological fluids as per instructions (YH Biosearch Laboratory, Shangai, China). The NT-ProBNP measuring range in urine reported by the manifacturer is 5 to 2000 pg/mL. Results above this range were rediluted and assessed again. Differences amongst the three groups for the ordinal or non-normally distributed continuous variables were evaluated by Kruskal-Wallis variance analysis. Mann-Whitney U test was used to test ordinal or non-normally distributed continuous variables. Categorical variables were assessed by chi-square test or Fisher’s exact test, where applicable. Degree of association between variables was evaluated by Spearman’s correlation coefficient. P value less than 0.05 was considered significant. Although the mean age of the control and patient groups was similar (p=0.669), hospitalized patients were younger than out-patients [median (minimum-maximum) 16.1 (0.5-65) versus 19 (2-71) months)]. Baseline clinical characeristics of the patients are summarized in Table I. Mean admission time since symptoms first appeared was similar between the two groups. Heart and respiratory rates were higher in hospitalized patients. Nevertheless, these findings were not totally regarded as of clinical importance as hospitalized patients were younger. The only statistically significant clinical difference between the two groups was higher M-WAS, and pneumonia scores on admission in hospitalized patients. Echocardiography was performed in 11 outpatients (10.2%) and 13 hospitalized patients (25%). All results were revealed as normal. Table II shows urinary NT-ProBNP levels of our study group. We observed higher urinary NT-ProBNP levels in the patients in comparison with the control group, not reflecting statistical significance (p=0.322). When we compared the three groups separately, the highest levels belonged to outpatients whereas hospitalized patients had slightly lower levels than the control group. The difference between levels of urinary NT-ProBNP of the three groups did not represent any statistical significance (p=0.128). When we examined urinary NT-ProBNP levels of the newborns (n=16) in our study group, the patients (mean ± standard deviation: 696.9±147.1 pg/mL) had higher levels than controls (509.7±326.2 pg/mL) (p=0.041). We investigated the correlation between urinary NT-ProBNP values and the patients’ clinical characteristics. Inverse weak correlation was observed between urinary NT-ProBNP values and both heart rate and mean admission time. NT-ProBNP levels were higher in patients without tachycardia [(median (minimum-maximum) 541.2 (65.5-1073.8) pg/mL)] in contrast to patients who had tachycardia [363.3 (107-1028.9) pg/mL] (p=0.001). We observed no relationship between other clinical characteristics and urinary NT-ProBNP levels (Table III). We measured higher urinary NT-ProBNP levels in LRTI patients compared to the control group. However, this finding did not reach statistical significance and was consistent with the previously published data reporting plasma NT-ProBNP levels in children diagnosed with LRTI (6,7,14,15). On the other hand, our main goal was to evaluate the diagnostic acccurracy of urinary peptide levels in determining “severe” cases. We observed no differerence between clinically severe cases who required hospitalization, and outpatients who presented a milder clinical course. In the case of neonates, the patients showed significantly greater values than controls but this subgroup was relatively small in size. Furthermore, since all neonates with LRTI should be hospitalized, and clinical severity was similar with no existing severe cases in our subgroup, we did not consider this finding of clinical importance. We proposed that one of the issues related to lower values in hospitalized patients than in outpatients was the later collection of urine (6 hr versus 2 hr). Delayed testing might have resulted in lower values because of the altered clinical course. We also believe that accompanying tachycardia in our patients may present as an additional factor leading to lower results as the correlation between tachycardia and urinary NT-ProBNP was found to be strongly negative. Although we did a thorough search, we could not reach any statement in the literature indicating the effect of tachycardia on plasma/urine NT-ProBNP levels. However, we assume that tachycardia may cause reduced urinary protein levels as a result of less emphasized volume and pressure overload. Previous work concerning children concluded that plasma NT-ProBNP levels are significantly high in children with CHF regardless of the etiology, and significant reduction is observed after an approppriate intervention (6,7,14,15). These studies indicated a statistically insignificant increase of plasma NT-ProBNP values in children diagnosed with LRTI but who did not have CHF, and concluded that plasma NT-ProBNP might serve as a useful index for the differentiation of dyspnea due to cardiac failure from a respiratory illness. The cardiovascular and respiratory systems may be regarded to be functioning as a single unit, as changes in one reflect the other (21,22). Even little alterations in intrathoracic pressure may cause substantial changes on the afterload of small children (14). Nonetheless, an increase in plasma NT-ProBNP level as a result of instant afterload changes without clinically evident CHF may also be observed in patients with LRTI. Aydemir et al. (23) reported increased plasma NT-ProBNP levels in “severe” cases of transient tacyhpnea of the newborn (TTN). This study documented that echocardiographic evaluation revealed preserved systolic functions in all infants although “near to normal limit” was detected in severe cases (23). Authors linked this rise to the contribution of natriuretic peptides in the regulation of extracellular fluid volume. Whilst we think that events occuring in the first days of life happen to be much more complex representing “early transition” and should be discussed separately, we believe this data pointing to increased NT-ProBNP levels in infants with TTN with normal cardiac functions is of value. Moreover, few studies provided evidence that the secretion of natriuretic peptides is induced by cytokines and inflammatory mediators (24,25). This information might be regarded as an additional factor resulting in increased plasma peptide levels in LRTI. Adult studies reported that plasma NT-ProBNP levels serve as a strong predictor of severe pneumonia (26,27). These studies found higher NT-ProBNP levels in patients requiring intensive unit care and non-survivors, and linked this increase to comorbidities (e.g. heart failure, renal failure) and inflammatory mediators (26). We found only one study reporting the predictive potential of plasma NT-ProBNP as independent of comorbidities in adults with pneumonia (27). Studies have assessed the diagnostic and prognostic value of NT-ProBNP in urine as a simple and non-invasive test (11,28). Although slightly lower values than plasma are detected, urine NT-ProBNP was shown to have a diagnostic accuracy to that of plasma NT-ProBNP for the diagnosis of heart failure in adults (29). As far as we searched, we found few studies evaluating urinary NT-ProBNP values in children. Tosse et al. (12) designed the first study in children assessing urinary peptide levels and clinical characteristics and concluded that the measurement of urinary NT-ProBNP is a powerful and non-invasive method to diagnose hs-PDA in preterm infants. Subsequently, Celik et al. (13) noted similar results and notified that urinary NT-ProBNP levels may help clinicians to determine the effects of hs-PDA on the clinical status of preterm infants. Czernik et al. (30) published higher urinary NT-ProBNP levels in preterm neonates who further developed retinopathy of prematurity. Although we aimed to elucidate the predictive potential of urinary NT-ProBNP in the determination of “severity” in childhood LRTI, we could not demonstrate any relation. There are several limitations of this study. Firstly, echocardiography was not performed on the whole study group. Instead, it was carried out on patients whose clinical evaluation was unclear to minimize redundant investigation in patients showing typical signs of LRTI. The inability to analyze fresh urine could be considered as another limitation. A recent research reported slightly better predictive results with fresh rather than frozen samples of NT-ProBNP for the diagnosis of CHF in adults (31). A further point of discussion is the invalid reference values of urinary NT-ProBNP in childen. We gathered data of a limited number of patients from certain published studies. We believe further research is mandatory for the establishment of these values. Nevertheless, we assume that this factor may not have influenced the interpretation of our results since we “compared” the values of two different groups. We investigated for the first time the contribution of NT-ProBNP in childhood LRTI to clinical assessment in the determination of “clinical severity”. Although urinary NT-ProBNP levels tend to increase to some extent in childhood LRTI, this alteration does not seem to be valuable in the prediction of the severity of the disease. We believe that the establishment of further studies including larger series of patients, especially neonates, is warranted to clarify this issue of concern. Ethics Committee Approval: This study was approved by Clinical Research Ethical Commitee of Ankara University (approval number: 17-735-14; October 2014). Informed Consent: Written informed consent was recruited from each participant. Surgical and Medical Practices: N.E.Ç.İ., F.G., Concept: N.E.Ç.İ., Ö.E., E.Ç., T.K., S.A., Design: N.E.Ç.İ., Ö.E., D.T., H.Ö., Data Collection or Processing: N.E.Ç.İ., F.G., Analysis or Interpretation: A.H.E., H.T., N.E.Ç.İ., Literature Search: N.E.Ç.İ., Ö.E., F.G., Writing: N.E.Ç.İ. Financial Disclosure: This study was funded by research aid from Scientific Research Projects Coordination Unit, Ankara University, Ankara, Turkey (project number: 15H0230003). 1. Nair H, Simoes EA, Rudan I, et al. Global and regional burden of hospital admissions for severe acute respiratory infections in young children in 2010: a systematic analysis. Lancet 2010;381:1380-90. 2. Levels and trends in child mortality. Estimates developed by the UN Inter-agency Group for Child Mortality Estimation. 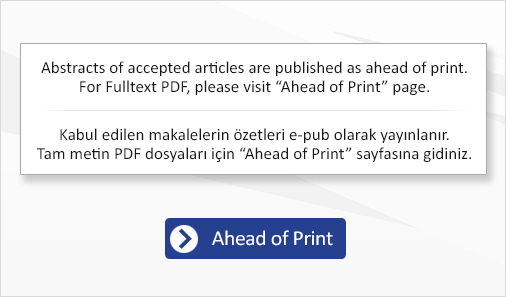 UNİCEF; Report 2015 [Internet]. Available from http://www.childmortality.org [Accessed at February 15, 2016]. 3. Bradley JS, Byington CL, Shah SS, et al. The management of community-acquired pneumonia in infants and children older than 3 months of age: clinical practice guidelines by the Pediatric Infectious Diseases Society and the Infectious Diseases Society of America. Clin Infect Dis 2011;53:25-76. 4. Hall C. Essential biochemistry and physiology of (NT-pro) BNP. Eur J Heart Fail 2004;6:257-60. 5. Roberts E, Ludman AJ, Dworzynski K, et al. The diagnostic accuracy of the natriuretic peptides in heart failure: a systematic review and diagnostic meta-analysis in the acute care setting. BMJ 2015;350:910. 6. Cohen S, Springer C, Avital A, et al. Amino-terminal pro-brain-type natriuretic peptide: heart or lung disease in pediatric respiratory distress? Pediatrics 2005;115:1347-50. 7. Koulouri S, Acherman RJ, Wong PC, Chan LS, Lewis AB. Utility of B-type natriuretic peptide in differentiating congestive heart failure from lung disease in pediatric patients with respiratory distress. Pediatr Cardiol 2004;25:341-6. 8. Rauchenzauner M, Haberlandt E, Rösslhuber C, et al. Cerebrospinal fluid and serum NT-proBNP concentrations in children with epilepsy. Epilepsy Res 2009;86:131-7. 9. Wójtowicz J, Szczepański W, Bogdan A, Baran M, Szczurak J, Bossowski A. Natriuretic peptides in the evaluation of syncope in children and adolescents. Scand J Clin Lab Invest 2014;74:301-5. 10. Samransamruajkit R, Uppala R, Pongsanon K, Deelodejanawong J, Sritippayawan S, Prapphal N. Clinical outcomes after utilizing surviving sepsis campaign in children with septic shock and prognostic value of initial plasma NT-proBNP. Indian J Crit Care Med 2014;18:70-6. 11. Palmer SC, Endre ZH, Richards AM, Yandle TG. Characterization of NT-proBNP in human urine. Clin Chem 2009;55:1126-34. 12. Tosse V, Pillekamp F, Verde P, et al. Urinary NT-proBNP, NGAL, and H-FABP may predict hemodynamic relevance of patent ductus arteriosus in very low birth weight infants. Neonatology 2012;101:260-6. 13. Celik IH, Erdeve O, Demırel G, Canpolat FE, Dilmen U. Elevated urinary NT-proBNP after pharmacological closure of patent ductus arteriosus in very low birth weight infants. Early Hum Dev 2013;89:187-9. 14. Sezgin Evim M, Ucar B, Kilic Z, Colak A. The value of serum N-terminal pro-brain natriuretic peptide levels in the differential diagnosis and follow-up of congestive cardiac failure and respiratory distress due to pulmonary aetiologies in infants and children. Cardiol Young 2010;20:495-504. 15. Zhou FJ, Zhou CY, Tian YJ, et al. Diagnostic value of analysis of H-FABP, NT-proBNP, and cTnI in heart function in children with congenital heart disease and pneumonia. Eur Rev Med Pharmacol Sci 2014;18:1513-6. 16. Nir A, Lindinger A, Rauh M, et al. NT-pro-B-type natriuretic peptide in infants and children: reference values based on combined data from four studies. Pediatr Cardiol 2009;30:3-8. 17. Hartman ME, Cheifetz IM. Pediatric Emergencies and Resuscitation. In: Kliegman RM, Stanton BF, St Geme JW, eds. Nelson Texbook of Pediatrics- 19th ed. 2011;280. 18. Shann F. WHO definition of tachypnoea in children. Lancet 1992;339:176-7. 19. Duarte-Dorado DM, Madero-Orostegui DS, Rodriguez-Martinez CE, Nino G. Validation of a scale to assess the severity of bronchiolitis in a population of hospitalized infants. J Asthma 2013;50:1056-61. 20. Harris M, Clark J, Coote N, et al. British Thoracic Society guidelines for the management of community acquired pneumonia in children: update 2011. Thorax 2011;66(Suppl 2):ii1-23. 21. Meliones JN, Cheifetz IM. Pulmonary physiology and heart-lung interactions. In: Garson A, Bricker JT, Fisher DJ, Neish SR, eds. The Science and Practice of Pediatric Cardiology. 2nd ed. Williams and Wilkins, Baltimore, 1998;279-312. 22. Ilten F, Senocak F, Zorlu P, Teziç T. Cardiovascular changes in children with pneumonia. Turk J Pediatr 2003;45:306-10. 23. Aydemir O, Aydemir C, Sarikabadayi YU, et al. The role of plasma N-terminal pro-B-type natriuretic peptide in predicting the severity of transient tachypnea of the newborn. Early Hum Dev 2012;88:315-9. 24. Ma KK, Ogawa T, de Bold AJ. Selective upregulation of cardiac brain natriuretic peptide at the transcriptional and translational levels by pro-inflammatory cytokines and by conditioned medium derived from mixed lymphocyte reactions via p38 MAP kinase. J Mol Cell Cardiol 2004;36:505-13. 25. Tanaka T, Kanda T, Takahashi T, Saegusa S, Moriya J, Kurabayashi M. Interleukin-6 induced reciprocal expression of SERCA and natriuretic peptides mRNA in cultured rat ventricular myocytes. J Int Med Res 2004;32:57-61. 26. Nowak A, Breidthardt T, Christ-Crain M, et al. Direct comparison of three natriuretic peptides for prediction of short- and long-term mortality in patients with community-acquired pneumonia. Chest 2012;141:974-82. 27. Lin SC, Tsai YJ, Huang CT, et al. Prognostic value of plasma N-terminal pro B-type natriuretic peptide levels in pneumonia patients requiring intensive care unit admission. Respirology 2013;18:933-41. 28. Michielsen EC, Bakker JA, van Kimmenade RR, Pinto YM, Dieijen-Visser MP. The diagnostic value of serum and urinary NT-proBNP in heart failure. Ann Clin Biochem 2008;45:389-94. 29. Hahn RG, Jaarsma T, Waldréus N, Linssen GC. Urine measurement indicates the plasma brain natriuretic peptide concentration during optimization of heart failure treatment. Scan J Clin Lab Invest 2016;76:112-7. 30. Czernik C, Metze B, Müller C, Müller B, Bührer C. Urinary N-Terminal B-Type Natriuretic Peptide Predicts Severe Retinopathy of Prematurity. Pediatrics 2011;128:545-9. 31. Toufan M, Namdar H, Abbasnezhad M, et al. Diagnostic values of plasma, fresh and frozen urine NT-proBNP in heart failure patients. J Cardiovasc Thorac Res 2014;6:111-5.